Listen wirelessly. Charge endlessly. The renewed JBL Charge 2 is an ultra-powerful, ultra-big-battery portable Bluetooth speaker with high-quality stereo sound. 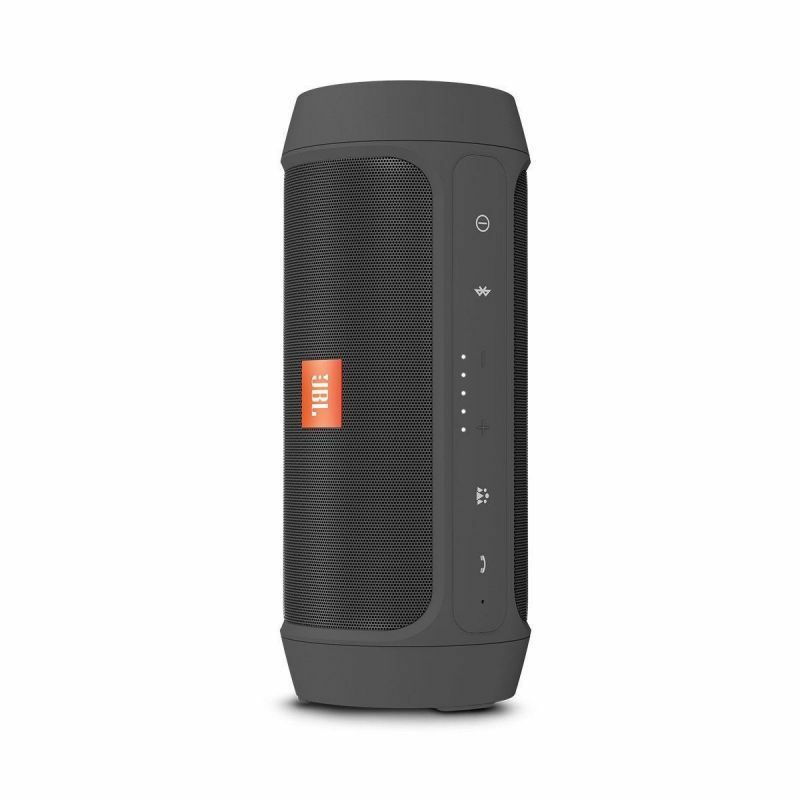 Revamped with fresh styles and a splashproof design, the Charge 2 takes the party everywhere - be it poolside or dancing in the rain - and amplifi es the excitement with JBL Bass Radiators. The speaker is powered by a 6000mAh battery that provides an incredible 12 hours of playtime and can charge all your devices, like your smartphone or tablet, via USB. Charge 2 also comes with a built-in noise and echo cancelling speakerphone so you make crystal clear calls with the press of a button. Trade off as DJs with your friends to share everyone''s favorite tunes with Social Mode by connecting up to 3 music sources to the speaker and taking turns playing music.